Two California Baptist State Conventions, which split as a result of the turmoil in the National Baptist Convention of America and the creation of National Missionary Baptist Convention of America, have agreed to an historic reunification effective in October. The reunification brings together the California Missionary Baptist State Convention (CMBSC) and the California United Baptist State Convention (CUBSC). Both conventions were as one until the untimely split in 1991 which resulted in the creation of CUBSC. Now, the conventions have agreed to re-unify as one California Missionary Baptist State Convention. The CMBSC and CUBSC voted today, January 28, 2015 to begin the process of reunification, which will take affect in October 2015, contingent upon CUBSC meeting certain conditions. The reunited convention will become dually-aligned with both the National Missionary Baptist Convention of America and the National Baptist Convention of America, Inc., International. Dr. Gaddis will serve as President and an election will be held in October which will complete the reunification process by filling several positions in the cabinet. This will bring the roll of the Convention to over 250 congregations which will make the CMBSC the largest African-American Baptist State Convention west of Texas. The CMBSC website can be found at www.cmbsc.com. EDITOR’S NOTE: ADDITIONAL INFORMATION was added courtesy of Dr. J. Roy Morrison. Alonzo Twitty, Sr., age eighty-five (85) was born February 29, 1929 to the late Mr. Albert Twitty and Mrs. Viola Dixon-Twitty on the Ward Morn farm in Brazos County, better known as Brazos Bottom located ten miles outside of Bryan and College Station, Texas, one of eleven children. He departed this life at a local hospital on Saturday, January 3, 2015. He is preceded in death by his parents; brothers Albert, John D, Napoleon, Grant; sisters Annie Mae, Frances, Estelle, Othell, Loraine, and Jewel Lee; daughter Linda Kay Hopkins-Twitty; son John Jeff Twitty I, and granddaughter Shavon Earl Twitty. Reverend Twitty accepted Christ at an early age and was a member of the Salem Baptist church. Although called to the ministry at the age of five, he did not accept the call until the age of thirty-one and was ordained at the age of forty at the Antioch Baptist Church by the late Dr. James A. Hopkins, former pastor of the Antioch Baptist Church, the late Dr. W.W Williams, former pastor of Macedonia Baptist Church, the late Reverend Walter Green, former pastor of St. Luke Baptist Church and the late Dr. C. Trotter, former pastor of Mt. Olive Baptist Church. He focused on a dream that became a reality and in 1970 he organized the Pilgrim Rest Missionary Baptist Church, Albuquerque, New Mexico, where he pastored faithfully for 44 years. He was a member of the National Baptist Conference of America, USA Inc., the Baptist Ministers Union, Ministers Fellowship Alliance, the Progressive Missionary Baptist State Convention of Central Arizona and New Mexico and the Saint Luke District Association. He received his early school education from Salem Elementary and attended High School at Fair View High School. After moving to Albuquerque he completed his education and received his High School Diploma from Albuquerque High. At the age of eighteen, he enlisted in the Unites States Army, where he served for two years, with his basic training in Camp Rucker Alabama he then went to Germany and stayed 18 months. After relief from the army he met and married his sweetheart of 62 years, Edna Earl Walton. He then spent twenty-two years in the Army Reserve, which allowed him an opportunity to travel the world. He became a certified Pastoral Counselor by the Institute of Pastoral Counselor Division of Universal bible institute in 1977; earned a Bachelor’s, Master of Arts Degree in Religious Education from the World Institute of Religious Education, Farmington, New Mexico in 1983. In 2012 he received his Doctorate in Religious Education, from the World Institute of Religious Education. Rev. Twitty loved to sing and in 1968 he formed his own singing group known as the Twitty Family, who sung all over the state of New Mexico, Texas, Arizona and Virginia. During their singing tour he and his family recorded two records, which include My Life Is in God’s Hand, Old Ship of Zion, Somewhere Around God’s Throne, and Any How My Lord. Where ever you would see Rev. Twitty he had a smile on his face and a song in his heart. His theme song that he carried with him for many years is “I know my life is in God’s hand”, of which he was able to place his life stories in the book that he Authored called Free Grace, “My Life in God’s Hand in 2009. Reverend Twitty received numerous accolades in appreciation for his distinguished and invaluable service, support and contributions to the communities of Albuquerque, Belen, and Rio rancho, New Mexico. He received special honors from Kirtland Air Force Base, Lacy Kirk Williams Institution, Dallas Texas, Albuquerque Black Economic League, National Baptist Congress of Christian Workers, and Baptist Ministers in appreciation for outstanding service and community development. He was a recipient of the Living Legend Award in 2008 and the Community Service award from the Grant Chapel AME Church Lay Organization-Dr. Martin Luther King. On the 23rd day of May, 1953, he married Edna Earl Walton and to this union they were blessed with eleven children. 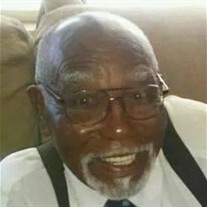 He is survived as follows wife, daughters Vivian Jean, Edna Jewel Whitaker (husband Fredrick), Annie Marie Miller, Sheniqua Shanae, daughter-in-law JoAnn Lackey; sons Alonzo, Jr. (wife Diane), Donald Ray, Sr. (wife Sandra D.), Jeremiah Guy (wife Roberta), Isaiah Matthews., and Brian Moses all of Albuquerque. Sixty-eight grand, great-grand and great-great grandchildren and now in the fifth generation; grandchildren include, Veronica, Dee Ann, Louis, Adrian, Tasha, Ariel, Jordan, Chrystal, Briana, Jackie, Don Jr, Tiffany, Moniqua (husband Kenneth), Henry (wife Patricia), Jeannette (Jason), Queannette, Apollonia,(husband Kharia), Allonnia (husband Marcus), Leanne, Amanda (husband , John Jeff II, Lamar, Jeremiah Jr, Tierre; and a host of loving cousins, nieces, nephews and friends. He was a pastor, daddy, husband, grandpa, brother, uncle, cousin and friend. He enjoyed spending time with his family and friends. Rev. Twitty was well known and loved throughout the various Communities of Albuquerque and Vicinity and across the nation. Pastor Twitty was loved by all who came in contact with him and never met a stranger. He was always dedicated to assisting those in need, reaching the unchurched, and enlightening believers to receive all God has promised, including healing, deliverance, and the fullness of God’s spirit. He was devoted to community service, brotherly love and a “friend” to all who knew him. He was a man called, anointed and appointed by God, he trusted in the Lord and never wavered in his faith. He will be missed by many for years to come, but his spirit will live within each and every person whose lives he touched with his selfless giving, compassion and strong faith and spirit. The family would like to thank the hardworking staff at the New Mexico VA Health Care Services for their compassionate love and care, the Ministers Fellowship, and a special to Bishop Shelby and God’s House and Rev. Darnell Smith and the Macedonia Baptist Church. The services will be as follows, there will be a private family viewing on Friday, January 9, 2015 from 10-12 at Pilgrim Rest Missionary Baptist Church, 315 53rd Street, Albuquerque, NM 87105, following this there will be a visitation from 12 p.m.-7:30 p.m., with a service immediately following the viewing from 7:00 p.m.-8:30 p.m. Funeral services will be Saturday, January 10, 2015 at 11:00 a.m. at God’s House, with internment to follow at Fairview Cemetery. Pallbearers: Kharia Jordan, Robert Jordan, Adrian Twitty, Marcus Cook II, Jordan Johns, Jason Hobbs, Jason Quiniones, Donald Twitty, Jr., Honorary Pallbearers: Alonzo Twitty, Jr., Donald Twitty, Sr., Jeremiah Guy Twitty, Sr., Isaiah Twitty, Alonzo Lamar, Fredrick Whitaker, Brian Twitty, Jeremiah Twitty, Jr., John Jeff II, Jaylen Quiniones, Christopher Romero. The Rev. H. David Parker, who spent 20 years in the nation’s military before becoming pastor of Emanuel Baptist Church in Elmont for 45 years, died Saturday of a heart attack at Sinai Hospital in Baltimore. He was 93. Parker, who was drafted into the Army in 1942, was the nation’s youngest regimental sergeant-major when, in 1943, he attained that rank at age 21, his family said. After serving in England, France, the Philippines and Okinawa, Japan, he returned to the states, serving at Fort Benning, Georgia, until he was honorably discharged in October 1948. That December, he enlisted in the Air Force, where he would serve in the United States and overseas until retiring in October 1962. He was the recipient of more than a dozen military awards, including the Commendation Medal for meritorious service. He was assigned to Mitchel Air Force Base in Hempstead in 1952 and married Willie Mae Bates of Hempstead in 1953. They had six children. She died in June 1987. 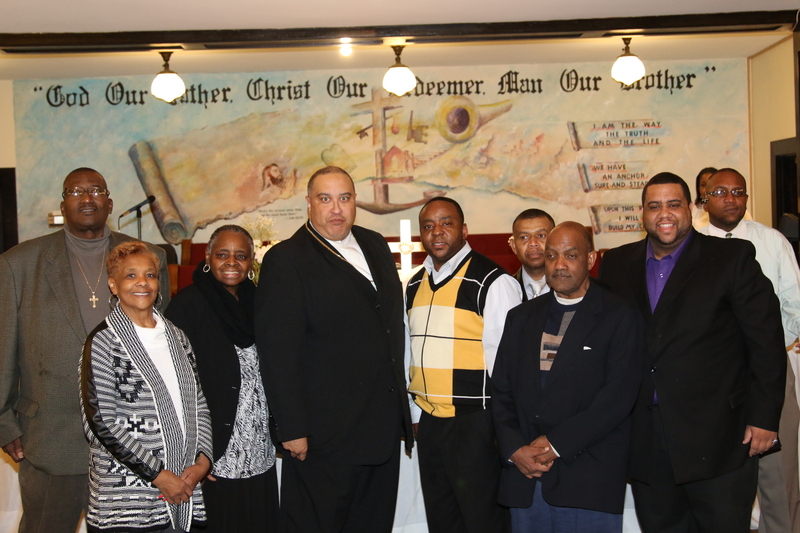 In those last military years, while stationed at Mitchel Field, Parker joined the Antioch Baptist Church in Hempstead and there became the Eastern Baptist Association of New York’s first ordained assistant pastor, said Antioch’s current pastor, Bishop Phillip Elliott. He said Parker was the first Nassau resident to be the association’s moderator, or leader, serving from 1976 to 1980. The association covers Long Island, Brooklyn and Queens. Parker came to Emanuel in 1963, when it had about 60 members. He was its fifth pastor. When he retired in 2008, the church had more than 700 members. In 1972, Parker founded and organized the Nassau Council of Black Clergy. In 1992 he became an area vice president for the Empire Baptist Missionary Convention. In 1994, he was appointed ambassador to the United Nations for the National Baptist Convention USA Inc. In 1979, he was appointed chairman of the Nassau County Interracial Task Force by County Executive Fran Purcell. Parker also served for 16 years on the Nassau County Human Rights Commission. Former Hempstead Mayor James Garner extolled Parker as a man who believed in doing the right thing all the time. “He was a role model that I only hoped to emulate,” he said. Survivors include wife Flora Covington Parker of Baltimore; four daughters, Wanda K. Parker of Hempstead, Helen M. Kennedy of Fort Lauderdale, Joyce A. Parker of Topeka, Kansas, and Dorothy J. Parker-Guana of Amityville; two sons, David K. Parker of Chicago and Daniel K. Parker of Atlanta; three sisters, Alma Bowie of Anniston, Alabama, Ruth Parker of Clanton, Alabama, and Ethel Carr of Dayton, Ohio; 14 grandchildren; and 15 great-grandchildren. The wake is from 6 to 9 p.m. Monday, January 12, 2015 at Emanuel Baptist Church in Elmont. The service will be there at 10 a.m. Tuesday, January 13, 2015. Burial will follow at Greenfield Cemetery in Uniondale. This evening (January 8, 2015) the body of Christ lost its metronome. 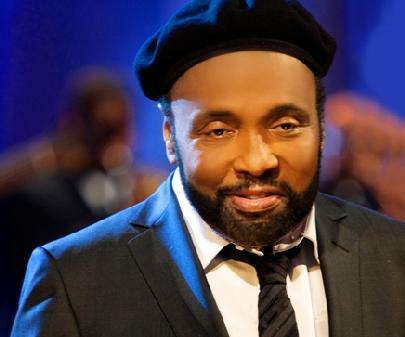 Pastor Andrae Crouch went home to be with the Lord at the age of 72 in Southern California. If you were in Choirs or a musician (or a budding musician as I was in the 1970s) your world was turned upside down by the persona of Andrae Crouch. He was so different from the rest of the crowd. James Cleveland, Clay Evans, Thomas Whitfield, and others who were “church” – with suits and ties and minimal instrumentation, and along comes a hip, cool brother – wearing open collars, hats, bell bottom slacks, with piano, organ (Billy Preston was his organist), drums, bass, and literally ignited a debate about what was and wasn’t gospel music. He took it to a dimension the church had never seen before. He made gospel music available to everyone. I was reading through Twitter tonight and struck by the color of the voices that commented on his death. Theologians praised him for his accuracy of lyrics. Current songwriters and gospel artists have laid great accolades upon him. Andrae Crouch was never a gospel artist. He was a brother who loved God, without saying it proved that you didn’t have to be completely clean cut to serve God, that your appearance did not speak to your destiny, and that young people had a place in sharing the gospel even through song. He was too cool to be called an artist – that term could not adequately describe what Andrae Crouch was to the church. What struck me was how he conquered life issues and did not allow them to stop him from serving God. He not only followed the beat from a different drum – he changed the beat. He rejected the notion that God could not use certain persons even as he struggled with dyslexia. He and his sister picked up the mantle of their parents’ church and it flourished by loving people. I’m amazed that in his very young years he wrote “The Blood Will Never Lose His Power,” He actually penned for James Cleveland, “Can’t Nobody Do Me Like Jesus.” He wrote the songs of the church – and as a musician I appreciated that what he recorded, you could play. His recordings were crystal clear and you could write the lyrics with ease. In an era of people who record gospel music for the sake of money and fame, Andrae Crouch is a great reminder that serving the Lord will pay off. He yielded himself to Him and the Lord blessed him tremendously. He changed COGICs, Baptists, Methodists, Whites, Blacks, Educated, Educators and Common People with the stroke of a pen. Certainly we pray for his sister, the Crouch Family, and their church in Southern California. Thank you Andrae for demonstrating that you don’t need a title to be substantive. WASHINGTON, DC – Rev. Michael C. Murphy, who served as the Senior Pastor of Peoples Congregational United Church of Christ for five years, died last Sunday just minutes before he was to deliver his morning sermon. Rev. Leslie Dowdell-Cannon said church members found Murphy unconscious in his office before the start of the church’s early service. She said members knocked on the door after he didn’t come to the pulpit for the 8:30 a.m. service. He was 62. Church officials from the Central Atlantic Conference of the United Church of Christ have been told that Murphy died of an apparent heart attack and a spokesman for D.C.’s Office of the Chief Medical Examiner said Murphy was pronounced dead at a local hospital. Rev. John Deckenback, conference minister for the Central Atlantic Conference of the United Church of Christ, said: “Michael was very important to the Central Atlantic Conference and the whole United Church of Christ family. Murphy was a native of Chicago. 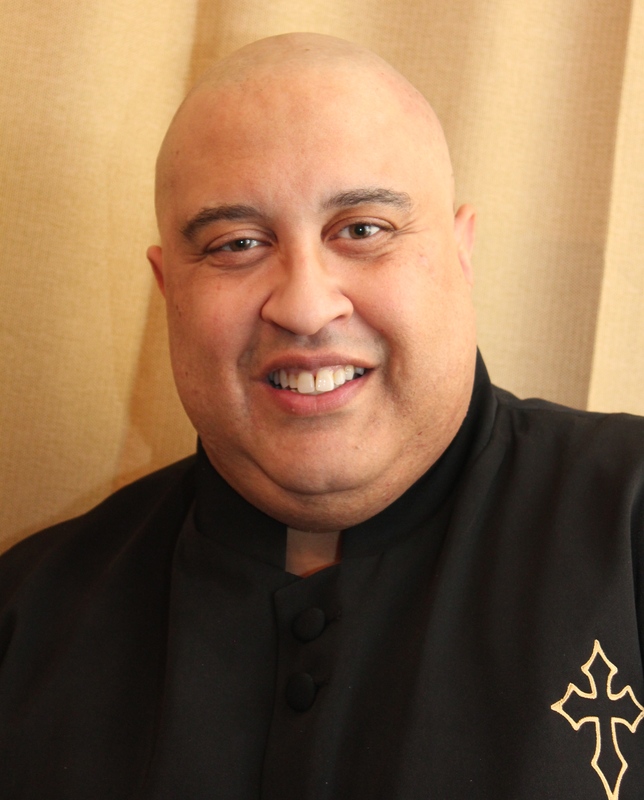 He graduated from DePaul University and Michigan State University before enrolling in the Chicago Theological Seminary, where he earned a Masters of Divinity and a Doctorate in Ministry. In 1987, Murphy founded the St. Stephen’s Community Church in Lansing, Michigan. During his time there, he was also elected to the Lansing City Council and in 2000 he was elected to the Michigan State Legislature, where he served three terms. During his legislative tenure, he sponsored the Jasmine Miles School Children Safety Act, which was named after a student who died walking home from school in 2003. The legislation was aimed at getting local jurisdictions to add sidewalks, school crossings and to take other safety measures for school children crossing the street. In 2009, Murphy was “called,” by the leaders of Peoples Congregational United Church of Christ who had been looking for a pastor for two years after the retirement of Rev. Dr. A. Knighton Stanley, the church’s long time pastor. A church known for its focus on social justice issues, Peoples was founded by 175 people on March 6, 1891. The church initially met in Nash Hall at 708 O Street N.W. Washington, D.C. In 1894, the first church building was built at 628 M Street N.W. In April 1954, the congregation conducted its first worship service at the current location at 4704 13th Street N.W. A new sanctuary was constructed at that location in 1991. After becoming the pastor of Peoples, Murphy emphasized hosting events like revival meetings as part of the church’s evangelistic outreach effort. The church has a proud legacy of spirituality, community service and social activism. The congregation is also home to a vibrant community of African American middle class families. 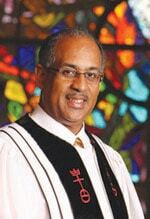 Dowdell-Cannon said Murphy’s death is a blow to members of the United Church of Christ congregations nationwide. Murphy was divorced but he leaves behind a son and a daughter. Funeral arrangements were not immediately available. HAPPY NEW YEAR! God has allowed me to see another New Year’s Day and in a few months, if the Lord be pleased, I’ll celebrate another milestone – 55 years of life. God is good. I want to share a few New Year’s thoughts and then I’m going to finish watching the Rose Parade (been there in person before, there is no parade in the world like it) and of course, it’s a football national holiday (more on that later). 1. Last night’s New Year’s Eve celebration between First Baptist Church, First Corinthian Baptist Church, and St. John A.M.E. Church was spectacular. It was the first time we’ve done this as a collaborative efforts led by the three pastors – Pastor Jerome Wilson (St. John), Pastor Leslie Whitlock (First Corinthian), and myself (First Baptist). It was greatly supported by our memberships and this was berthed over a meal at Buffalo Wild Wings. The three of us are not competitors – we are colleagues. We genuinely love each other as brothers in Christ and want to see each of our churches blessed. We were concerned that we wanted our fellowship to go beyond funerals – since the fabric of our community cuts across all three of our congregations. It was something to see. The choirs from each church were at their best. Pastor Wilson was a gracious host. Pastor Whitlock did an awesome job in preaching. We praise God for the offering, of which every dime was donated to the Resource Office of Social Ministries in Frankfort, a non-profit organization, coordinates the efforts of the religious community to aid the poor, providing accurate information to efficiently use resources and prevent duplication of assistance. Last night these three congregations donated $1,598.00. God be praised! There was plenty of food and after all were fed, the remaining food was donated to the local Homeless Shelter. It demonstrates the power of unity and relationship – when three churches, with a collective history of almost 500 years of collective history (FBC – 181; St. John – 175; First Corinthian – 138) – come together, we can do great and positive things for our community. I predict this NYE celebration will outgrow all of our sanctuaries in the near future. 2. 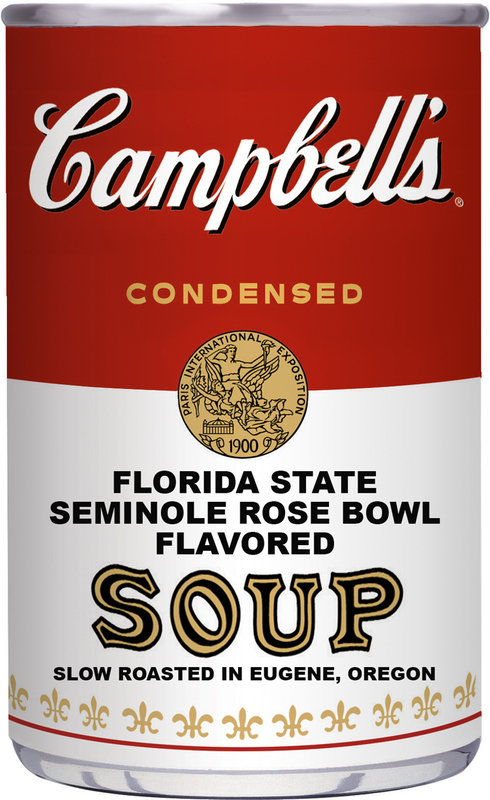 Today is the day of semi-final games in the first-ever College Football playoff series. It’s been a long time coming. To me, it created some collateral damage – the excitement about other down games just hasn’t been there, for me, this year. Two games will determine who will play in next week’s championship bowl game at AT&T Stadium in Arlington. This is a classic battle of two high-octane teams with two future NFL quarterbacks. Jameis Winston has proven he’s the quarterback who can’t lose a game. With a quarterback rating of 88.1 and a 26-0-0 record as a starter, he has created an atmosphere of winning and daredevil offense. Coach Jimbo Fisher and his staff have crafted a championship season – BUT that road is going to end. The Ducks, who could give many an NFL team a run for their money, is going to win. Three reasons: First, Marcus Mariota, Heisman Trophy winner is Superman in a football uniform. Secondly, Oregon features a heart-attack offense. They seem to lull you into taking a lead and then will come back and score 21 plus points within minutes. Third, It’s just their time. Oregon has had fantastic teams every year that just fell short each year. But Mark Helfrich’s team looks up to the task. Ducks by 6. SUGAR BOWL – Alabama Crimson Tide (12-1-0) vs. Ohio State Buckeyes (12-1-0). Let’s cut to the chase. Ohio State’s selection was controversial to begin with, as they sneaked in under the wire with a third string quarterback. How do you answer Alabama’s offense, defense, coaching, and undoubtedly a sea of supporters in New Orleans? Roll Tide. Alabama by 15. 3. My condolences to those who are dealing with death in their families across the country and those congregations who are dealing with the homegoing of their pastors. Of special note, I extend my condolences to my Portland pastor, Dr. Johnny Pack, IV and his family during their time of bereavement. May the Lord grant the families strength, compassion and love. So, that’s it. Have an awesome first day of the year!